In the 1980s, the affordability and accessibility of synthesisers, drum machines and samplers helped to develop dance and hip hop music further. 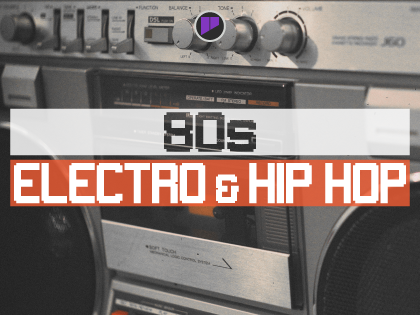 Synth stabs and gated snares became the backbone of what was to become electro, providing a groove and atmosphere suited for the club, as well as allowing rappers to create their own original beats to deliver their message. Geist Expander: 80s Electro & Hip Hop packs loops and hits into a concise collection of content that perfectly encapsulates this era.